Earlier this week when I shared my post with 5 Things I Do With My Toddler Every Day there were quite a few moms that mentioned that they HATE pretend play... or dread it... or don't like it. I think that pretend play is so important for loads of reasons... but sometimes I hate it too. That is why I am giving you (and me) a challenge this week. Pretend play helps your child develop social and emotional skills, build language skills, problem solve, and stretch her imagination. When your child is just developing these skills they often need you to join in and model and play along too. Sometimes that isn't easy and feels forced or awkward! This week I am issuing a challenge to help us change that a bit! CHALLENGE: Try a new pretend play activity with your kids each day for at least 15 minutes this week. Join them and have fun! Have you ever heard the quote, "fake it till you make it"? That might be you this week as you get started. And honestly... you might still hate pretend play once you are done with this challenge... but as you develop a habit over the course of this week you might find that your kids develop some new skills or they may even show you part of their personality that you didn't know was there? 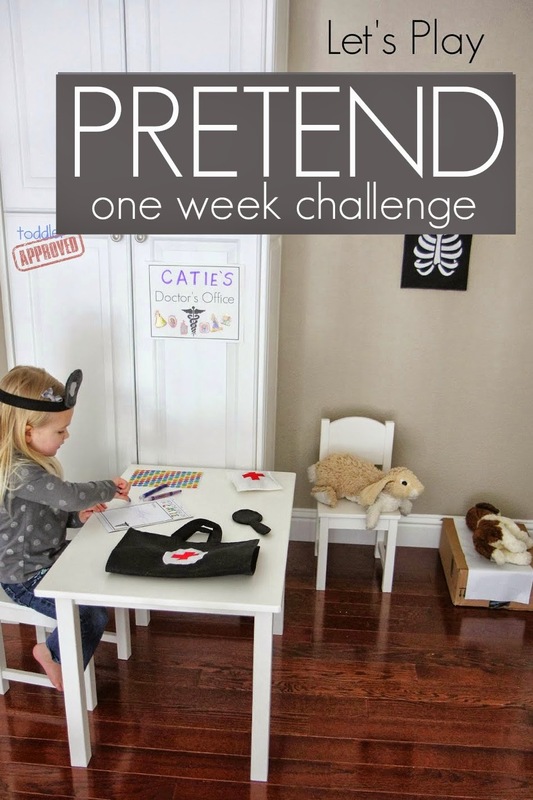 SHARE: I'll be sharing our Pretend Play fun over on Instagram all next week using the hashtag #pretendplaychallenge. Come join me! I am @kristinatoddlerapproved. 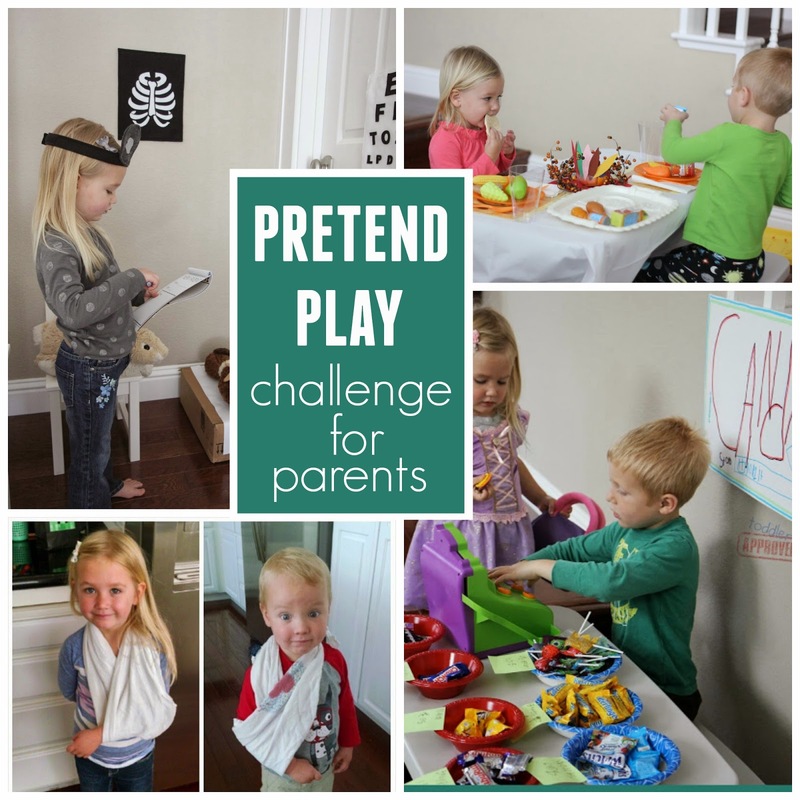 I'd love for you to join along, use the hashtag #pretendplaychallenge, and make yourself accountable by posting some of your pretend play activities on Instagram (or my Facebook wall) too. Scholastic also suggests putting together a simple prop box and placing it in one of the rooms in your house to help spark some creativity. They even include a list of some prop ideas. Also, I love this post from Creative with Kids that shares some ways to make pretend play more fun and less awkward... just in case that is a problem you have. What do you think? 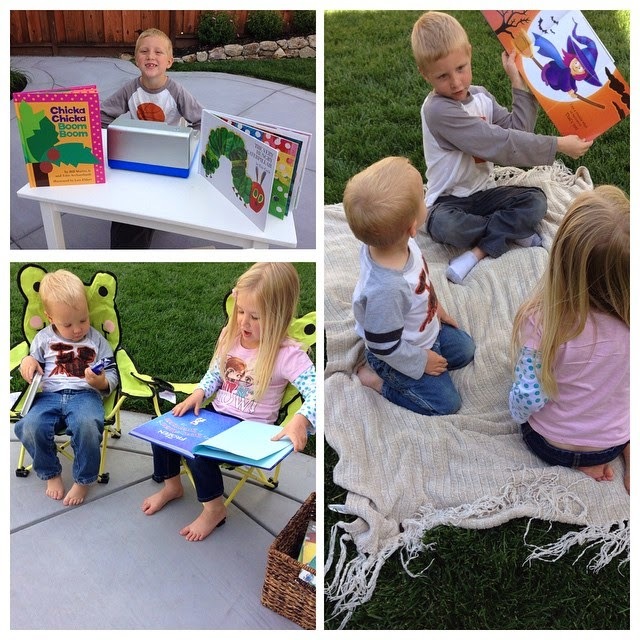 Can you commit to one week of doing pretend play every day WITH your kids for 15 minutes? Tell me in the comments if you plan to join in and then chat with your kids and start brainstorming some fun ideas! On the way home from school each day my older kids (ages 7&4) try and come up with creative pretend play ideas to do after school and it is always so neat to see what they decide on. My two year old has quite an active imagination too so his are always pretty funny. Yesterday we played library and the day before the kids turned yoga mats into flying carpets to fly and visit their grandparents. I have loved how the kids and I are able to connect in a different way through pretend play... so although I don't love it all the time, I have really felt our relationship grow as we've done it! Can't wait to see what you do this week!! Don't forget to share it on Instagram or my Facebook wall!